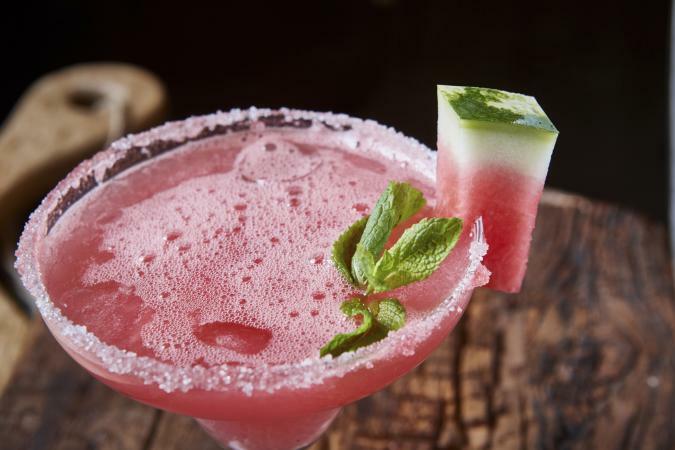 If you're looking for a refreshing and different tequila drink, try a watermelon margarita. With a fresh, summery flavor and a nice hit of tequila, you're sure to enjoy this refreshing cocktail. This basic recipe makes a blended, icy margarita. It serves three. In a blender, combine the watermelon, tequila, triple sec, and crushed ice. Blend until smooth. Run the lemon wedge around the rims of three margarita glasses. Spread the sugar on a plate in a thin, even layer; dip the wetted rims into the sugar. Carefully pour in the margarita. Garnish with the watermelon and mint sprig. To make this margarita on the rocks, leave the ice out and increase watermelon to three cups. Blend all other ingredients as listed, and then pour over the ice. Add a little spice to your margarita. This version replaces triple sec with grapefruit jalapeno vodka (Svedka has a tasty version). It serves three. In a blender, combine the watermelon, tequila, grapefruit jalapeno vodka, and ice. Blend until smooth. Run a wedge of grapefruit around the rims of your margarita glasses. Place the sprinkles on a plate in an even layer. Dip the rims of the glasses into the sprinkles. Pour in the margarita and serve. Omit the crushed ice. Add 1/2 cup of grapefruit juice to the mixture. Blend. Pour over ice. This makes a sweet margarita with a rich red color. It serves three. 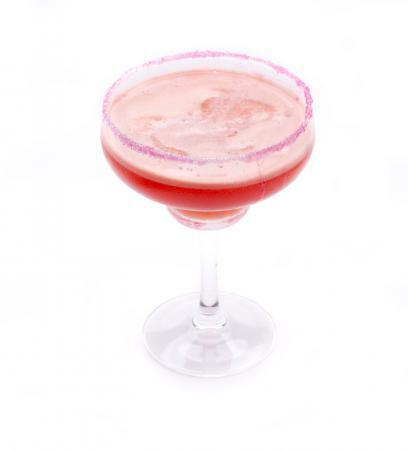 In a blender, combine the watermelon, blood orange juice, tequila, triple sec, and ice. Blend until smooth. 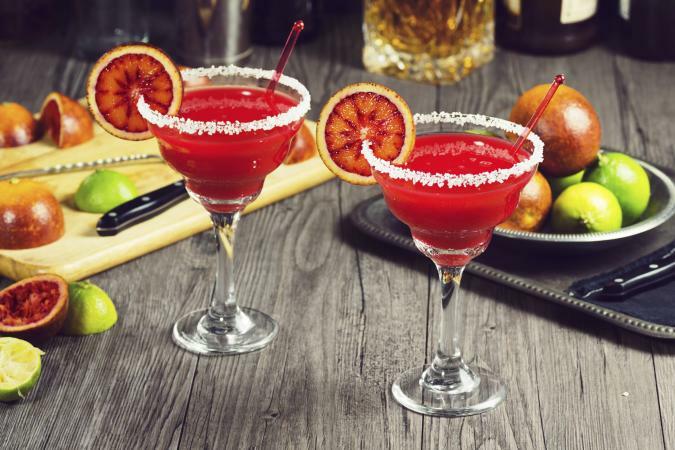 Run the blood orange wedge around the rims of three margarita glasses. Spread the margarita salt in a thin, even layer on a small plate. Dip the wetted rims of the glasses in the salt. Carefully pour in the margaritas. Garnish with the orange slices. Omit the ice. Blend all other ingredients in a blender. Pour over ice. Watermelon is the quintessential summer fruit, so making these with the best, sweetest watermelon when it's available in-season will ensure you get the best flavor possible. It's the perfect beverage for a warm, summer evening.